A new MLB season means a new edition of MLB The Show. 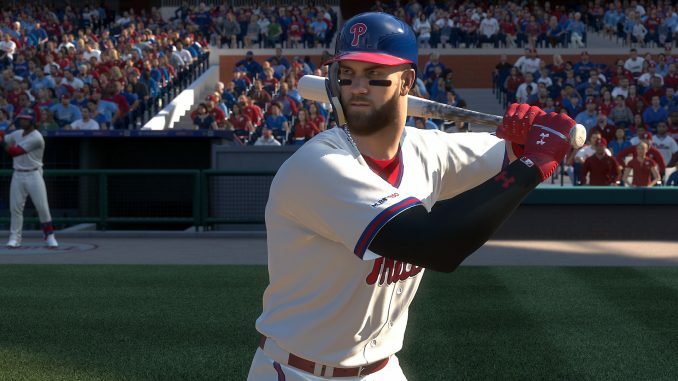 MLB The Show 19 brings us new game modes, revamped hitting and significant changes to presentation. Diamond Dynasty gets an overhaul, including a barrage of new legends such as the great Willie Mays, Cy Young and Christy Mathewson. San Diego Studios listen to their customers, and it results in one of the best sport’s game around. MLB The Show was far from perfect last season, but plenty of those issues look to have been addressed for 19. Power hitters were the kings in MLB The Show 18. Joey Gallo was arguably the most effective player in the game as anyone who regularly played online discovered. Tony Gwynn, Ichiro Suzuki and other all-time great contact hitters were ineffective, unable to line drive the ball and their defence did not make a noticeable difference. Hitting has been completely changed. Gwynn is now useful and capable of driving it into the gaps, while good contact from Gallo and others sluggers does not equal a homer. This is partnered with the improvements to defence. Playing people out of position now carries clearer and greater penalties, meaning a team of sluggers are going to be less than stellar with the leather. Contact hitters are often the better defenders. Using Gwynn and Ichiro as examples again, the pair are now extra valuable on the defensive side of the ball as well as being effective at the plate. It allows for different styles of play, which can only be a good thing in any sport, virtual or otherwise. Moving onto content, San Diego Studios introduced a pair of new game modes for The Show 19, headlined by March to October. Teams are split into different categories based on their chance of success this season. You pick a team and are thrown into a crucial moment every few games which you either build or lose momentum. There are also occasional player locks, where you control one player for a game and can build up a season-long boost. The mode allows you to run through a season far quicker than you would on franchise mode, and it is tied in with Diamond Dynasty. The ‘team affinity’ section is based heavily on March to October. Win the World Series on legend difficulty and you land enough progress to receive three cards from that team (including a diamond). Exchanges and innings grinds can be completed as well to help with progress in team affinity. 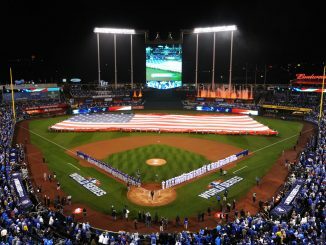 Every team has a diamond available but winning the World Series in March to October is the most effective way to progress. Combining the card collecting of Diamond Dynasty with the excitement of an MLB season is a great idea. There will be complaints of repetition, but it’s another way to improve your DD team and few will be disappointed about that (particularly if they can land Milwaukee’s 89-rated Rollie Fingers). It’s not just March to October to investigate when you open the game, however. San Diego Studios have also added ‘Moments’. These are either player specific or short team challenges with set difficulties and are a good way to earn XP. At the start of the game, the 2016 Chicago Cubs, rookie Bryce Harper, Willie Mays and Babe Ruth all have dedicated ‘Moments’. Complete the series, which vary in difficulty and complexity, and you earn a specific card. The 87-rated rookie Mays is the best of the bunch at the moment. The 1st inning program also has its set of ‘Moments’, featuring Goose Gossage, Andruw Jones and Cy Young. Completing these earns program progress. All ‘Moments’ provide stubs and XP. San Diego Studios will be releasing more throughout the season, including a series of Topps Now, which will feature the highlights from the 2019 MLB season. Each Topps Now ‘Moment’ completed will earn a token for a special edition pack at the end of the month. MLB The Show 18 was a grind. Collecting the best players was all about accumulation of stats and inevitably hours – perhaps days – spent playing against the Marlins or Orioles at Coors Field on rookie. Those walkover games are no more. Banks of stats in MLB The Show 19 are an optional way to boost your progress rather than a necessity. The same goes for the tedious and costly exchanges that dominated the career arcs and immortals in The Show 18. The ticket counter was a flawed concept. ‘Unlocking’ the higher up cards was all that was worth it. Blowing tickets on a gold or silver made little sense most of the time as tickets were too hard to accumulate. The range of choice was limited, meaning you’d see tonnes of the same player online, such as Carlos Beltran on MLB The Show 17. The ticket counter is gone for The Show 19. XP rewards are the new thing with either a pack or stubs handed out every five levels. The upside to this is that XP is awarded for everything you do on The Show. Progress is natural, whether in Road To The Show or playing Ranked Seasons. So, everyone have the same players again? No, San Diego Studios avoided that with the introduction of choice packs. The first sighting of these is at the start of the game (for those who bought anything above the standard edition). Each team has a flashback or legend diamond. Instead of being given one at random, a pack is opened showing you all 30. You pick one of them and the pack disappears. Choice packs like this are a staple of the XP rewards and are a brilliant way to open up different avenues of team building. The prizes for levelling up increase the further you go. When you reach level 100 and end a ‘band’, you are allowed to selected one of five signature series cards. MLB The Show 19 might be the best sports game around. 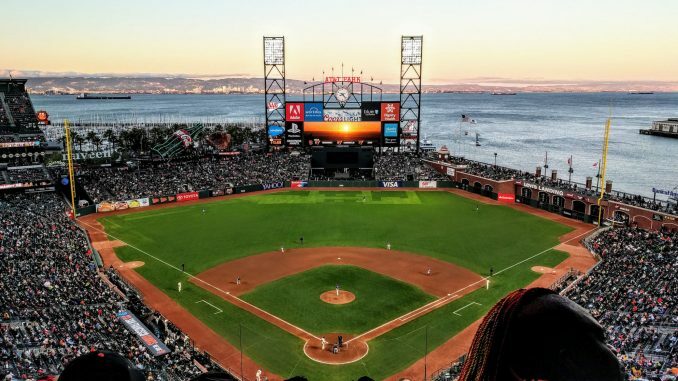 The new game modes will not be everyone’s favourites, but the way they are linked with Diamond Dynasty progress will attract plenty of people. Choice packs and the XP system are a smart move, which is enabled by the tidal wave of new legends entered into the game. We only touched on that here, but the additions of Rogers Hornsby, Ivan Rodriguez and Lou Gehrig deserve at least a quick mention. The Show 18 was samey all too often because of the dominance of power. The emphasis on defence and contact hitting goes a long way to addressing that, making favourites like Ichiro and Gwynn relevant can only be a good thing. We will get plenty of new cards, patches and things to do throughout the season. MLB The Show 19 should stand the test of time and keep people playing long into summer. It’s the best edition of The Show to date.